The 11th edition of the Governors Island Art Fair in New York opens this Labour Day weekend with works by nearly 100 artists installed across various historic buildings and connective spaces on the island. The artist-built fair, which was launched in 2008 by the non-profit arts organisation 4heads, aims to provide “an opportunity to escape the city and to experience art in an unexpected environment”, says the artist Antony Zito, who co-founded 4heads with Nicole Laemmle and Jack Robinson. Works are set up across a series of six homes built for US Army generals in the 1870s, which are known as Colonels Row. These homes have “very layered lives, and there is a romance to thinking about how they’ve evolved and changed through the years—an amazing collision of the historic and the contemporary that gives so much more to the artist and to the public”, says Zito. 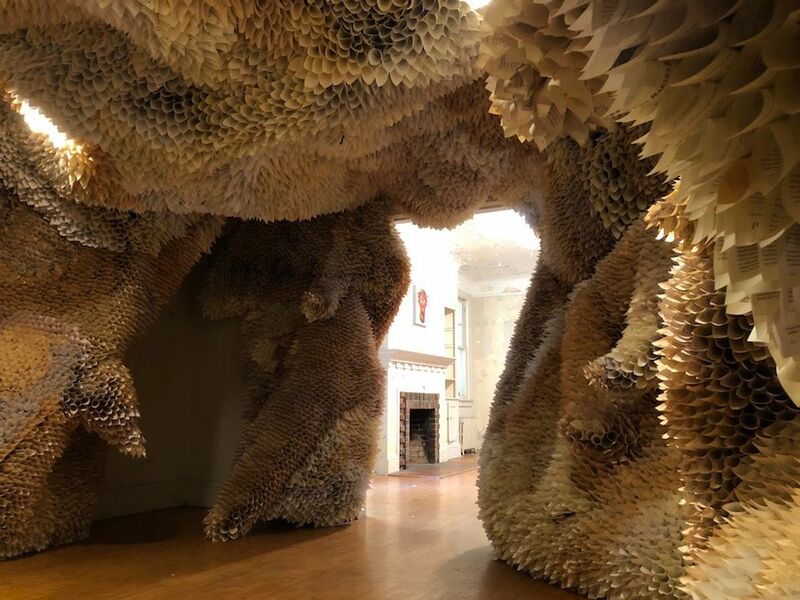 The fair features various immersive installations such as Paper Caves by the New York-based artist Samuelle Green, which comprises conically rolled pages of books covering a room from floor to ceiling, all glued into place. The work has a subtle sonic element and the aroma of old books. 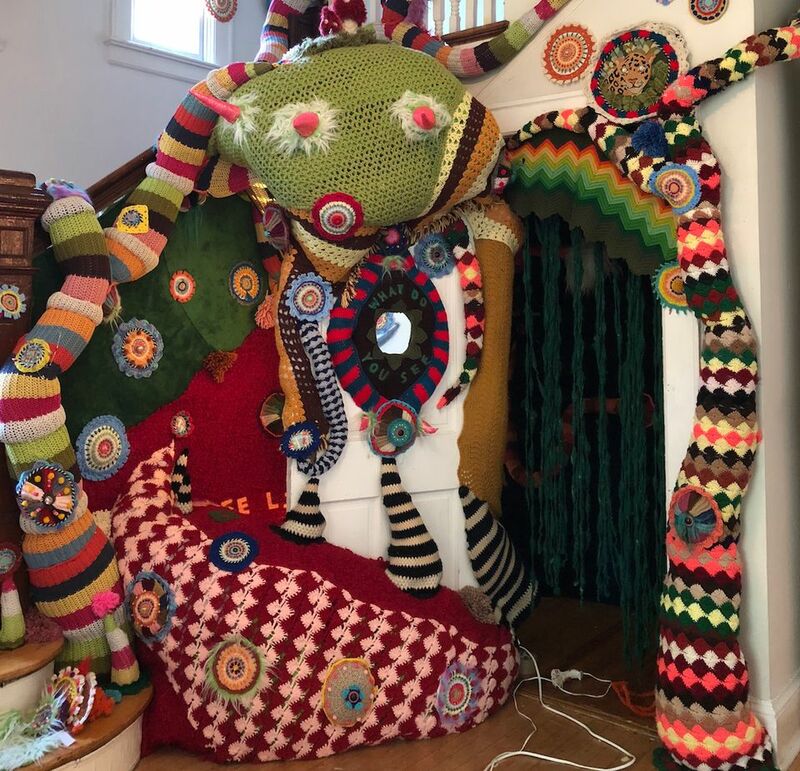 Another highlight is a textile installation by the mixed-media artist Jeila Gueramian that Zito describes as a “yarn-bomb installation” in which massive tentacles and snakes intertwine with colourful mandalas of yarn over bannisters and into closets, “transporting you to a fairy tale of surreal kitsch”. 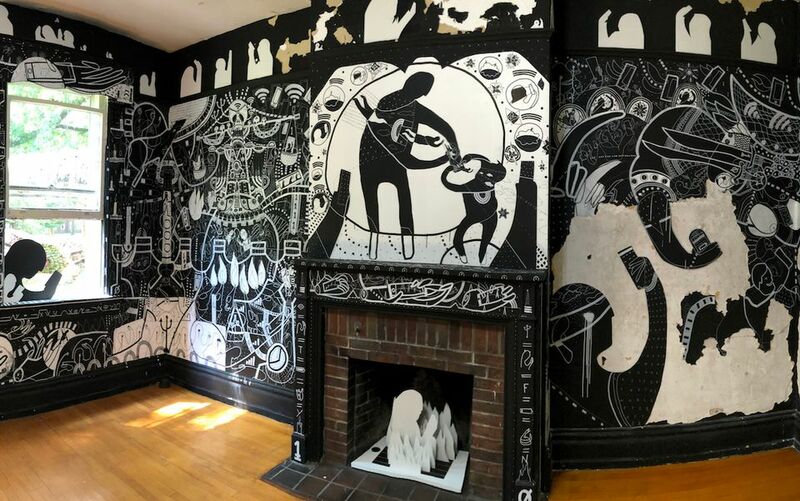 The 4heads artist in residence Tim Fite, who first showed at the fair last year, is creating a large-scale mural with white acrylic ink on the four walls of an all-black room called By the Code. Fite has created an “elaborate archetypal mythology of his own making wherein all the characters—humans and deities alike—are zombie-locked gazing into their phones”, says Zito, who calls the work “a Sistine Chapel for the digital age”. All artists are given an exhibition space free of charge and collect 70 percent of proceeds from sales. “We recognise how important the financial outcome is for the artists to continue to work and for the arts community in New York to be able to experience and enjoy their work,” Zito says.